Filickr has changed - help! Glad you made it :). Let me know if you have any issues :). You will then get several sharing options. 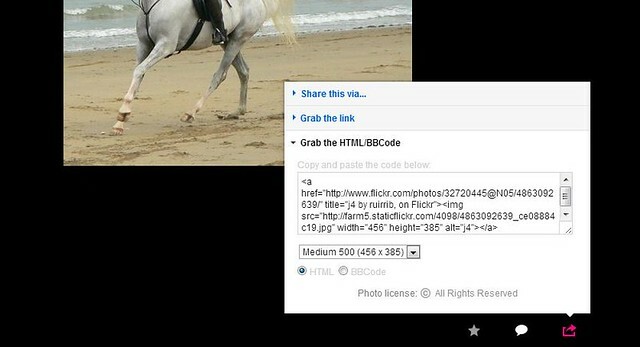 Just choose the bb code, copy and then paste it into our flickr tool, which I have just updated to work with the latest flickr version. 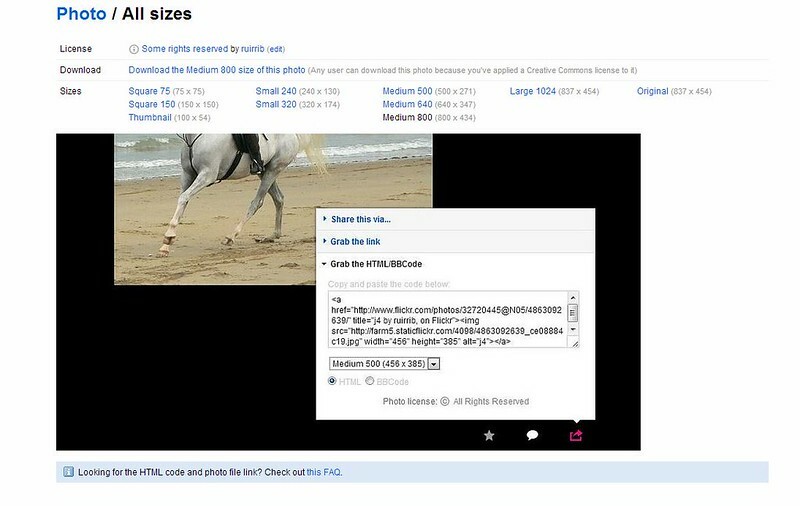 It seems they updated version of flickr is still experiencing issues, but now all the share buttons work, so it can be used to get the code to work with out flickr tool. I will have to revise our tutorials on the issue. Thank you Rui, will explore!! 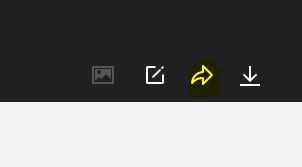 If you use Chrome, the best way is to go the all sizes page (click the icon with the two arrows at the bottom right, it's the next to last one) and then click the size you want. I will take a look and let you know. 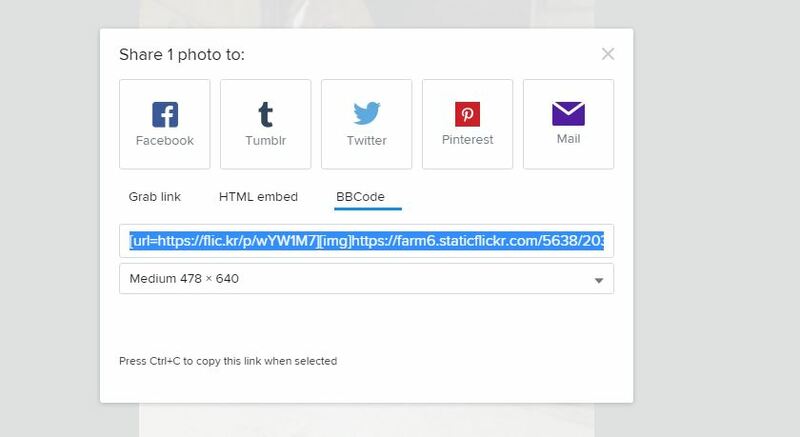 Seems they have made a good job hiding the share option.